The 2553A is designed calibration of traditional voltage and current measuring devices such as ammeters, voltmeters, digital multimeters, and DC wattmeters. In addition, the 2553A is capable of calibrating temperature meters and controllers which measure temperature through thermocouples or Resistance Temperature Detector's (RTD). The unit supports all commonly used thermocouple types regulated by the IEC. Intuitive dials allow the user to quickly and easily adjust the output values. The device also supports both USB communication and storage, allowing it to be used as a system in a larger testbed or as a programmable output device. DC sources are an imperative tool in any test or research lab due to the need to calibrate the plethora of devices that measure such signals. 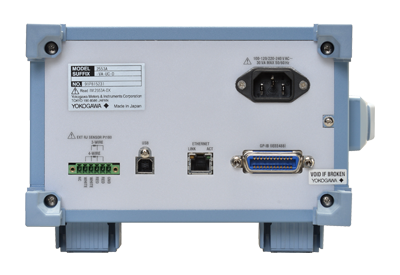 Yokogawa's expertise in delivering high quality instrumentation is evidenced by the introduction of the 2553A, which combines high precsion outputs, simple controls, and powerful features to meet all your calibration needs. 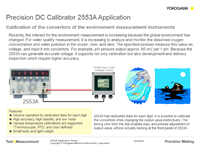 The 2553A Precision DC Calibrator, like our other Calibrators and Sources, offers users the simple operation and reliability they have come to trust from Yokogawa. With output ranges of ±10 mV to ±30 V and ±1 mA to ±100 mA plus 10 different types of Thermocouples and Pt100 RTD, the 2553A can effectively solve the calibration requirements for DC Analog Meters and various temperature measuring instruments and controllers. 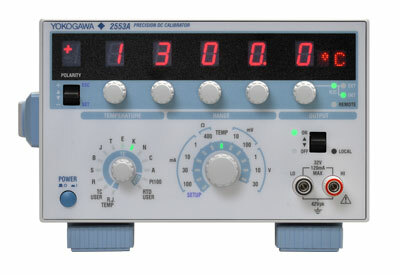 The 2553A can calibrate and test analog meters up to +/-32 V voltage and +/-120 mA current. The strong click from the dial enables easy adjustment of output value without actually looking at the front panel. The 2553A can calibrate and test temperature controllers and data loggers using thermocouple and RTD. It provides 10 types of thermocouples regulated in IEC. By setting temperature value, it generates thermocouple electromotive power and calibrates temperature controllers. It covers various temperature controllers, since it generates higher accuracy voltage than previous models. The 2553A supports widely used Pt100. 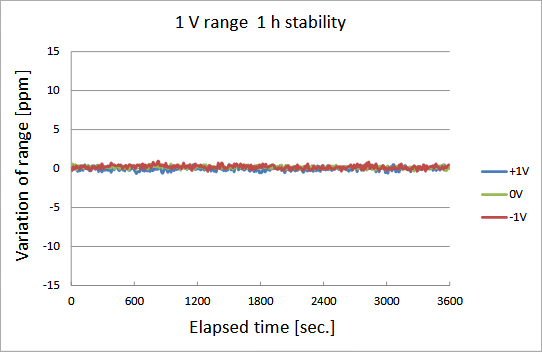 By setting temperature value, it generates temperature related resistance value. 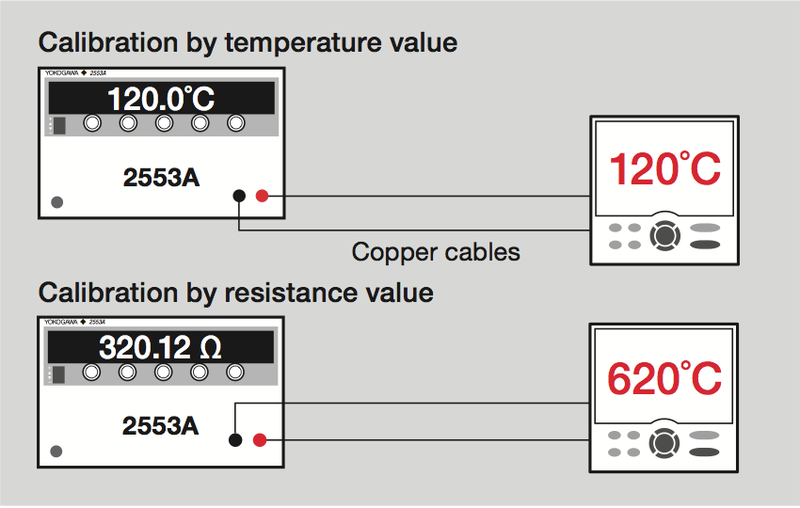 Settings can be done by not only temperature but also resistance value, making it possible to calibrate using resistance value. 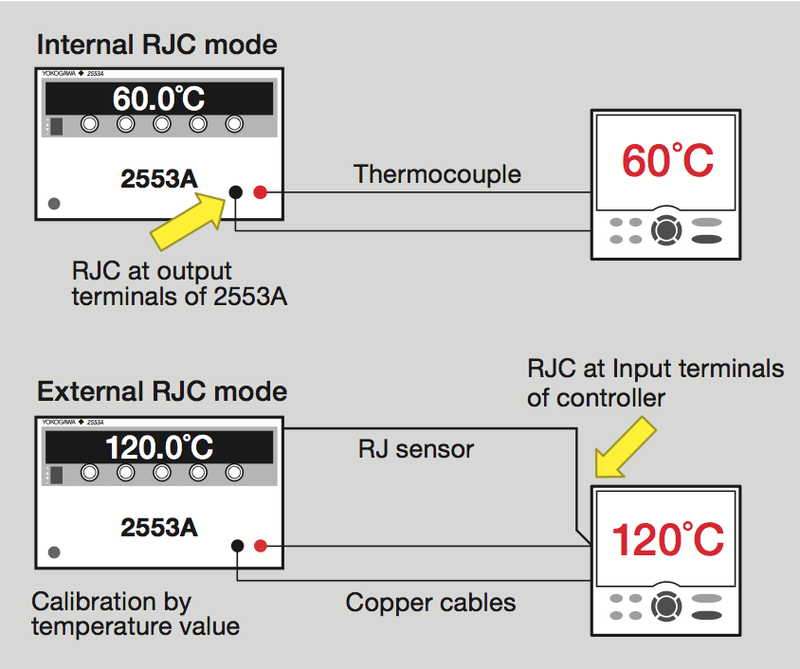 Since the 2553A has an "Internal RJC mode", which the reference point is output terminals of 2553A, it is possible to connect the objective measurement instruments by thermocouple without an external reference junction. In "External RJC mode", your choice of Pt100 can be used with versatile terminal for external sensor. It also has "Manual RJC mode", which enables you to set by entering reference value. The 2553A provides user defined thermocouple and RTD. 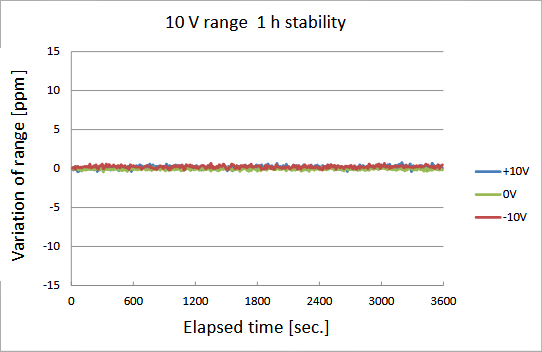 By copying text file including relation parameters between temperature and voltage or between temperature and resistance. It is able to generate various types of thermocouple and RTD. Text files can be easily created by text editor or Excel on PC. 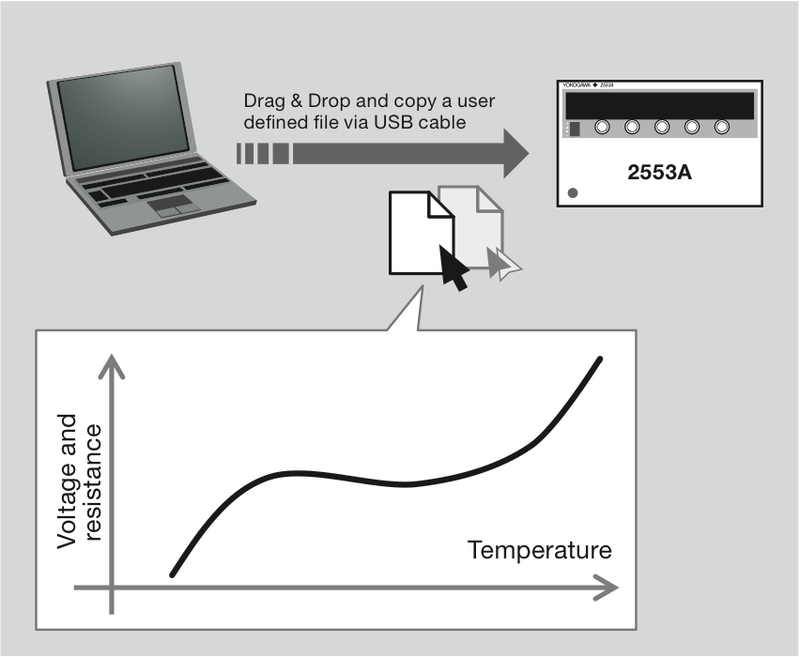 Files can be easily transferred by drag & drop operations when PC and 2553A is connected via a USB cable, letting the PC recognize the 2553A's internal memory as a mass storage drive. The 2553A calibrates the transformers and transmitters for pressure, volume flow, and temperature. It also calibrates transformers for analytical instruments such as pH, ORP, EC, and DO meters. High voltage output accuracy of 2553A will enable support for transformers which require higher accuracy. 2553A will come in use even in developing and testing transformers. In 30 mA range, the 2553A can sink the current. For example, by sinking the current from the distributors, it can simulate the two wire transmitters which output 4 to 20 mA signals.